FSBO sellers will reject you whether you are a Real Estate Agent or a Loan Officer. Remember, they would prefer not to use your services. 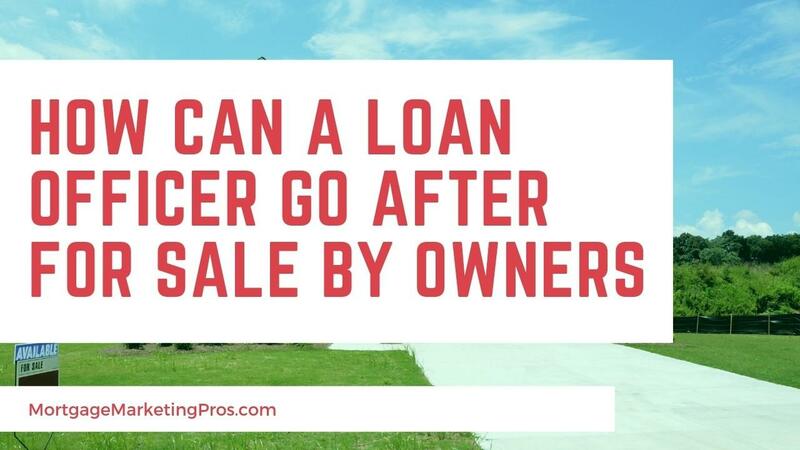 But if you maintain a steady, professional relationship, offering help and staying in contact for four to five weeks, you will usually be able to win an interview, which will help you in generating buyer leads by helping the FSBO seller sell his house. Limit the number of FSBOs you cultivate. Focus only on the best clients. Avoid prospects with low motivation. Make sure that they know that you are not a Realtor and what is the different between a Loan Officer and a realtor.